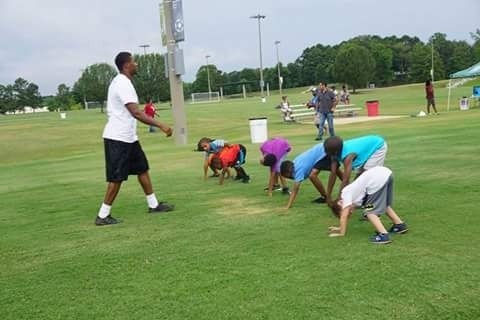 This June, we are hosting our free mom & kids football camp in Columbia, Ms. This camp is headlined by former Green Bay Packer & Superbowl winning wide receiver Eric Matthews, along with his nfl friends and alumni. 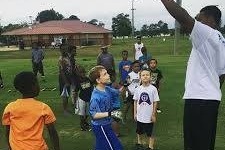 This camp is held in accordance with Nickelodeon "Day of Play" and "Visa Practical Money Skills" which makes it uniquely different than any other football camp. 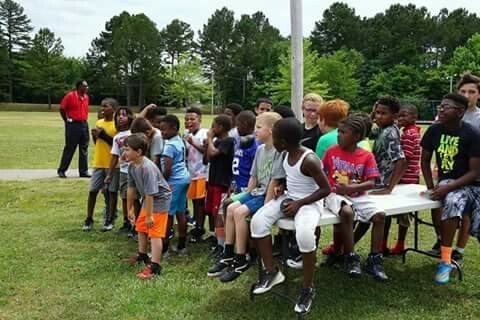 We utilize the power of football, to give the students a learning lesson in areas such as financial literacy, character, goal setting, integrity, etc. 100% of all proceeds will go towards necessary operating costs associated with event. Attaching a quick bio for all of the guys who will be helping with this years camp. Eric Mathews never dreamed he would become an NFL champion. As a teenager, he was recognized as one of Florida’s top athletes based on his track and field exploits. After only playing two years of football in high school before attending college, Eric would hone his two sport prowess as a force to be reckoned with at Indiana University. His stellar collegiate career earned him a spot with the Green Bay Packers in 1997, ultimately winning a Super Bowl ring the same year. 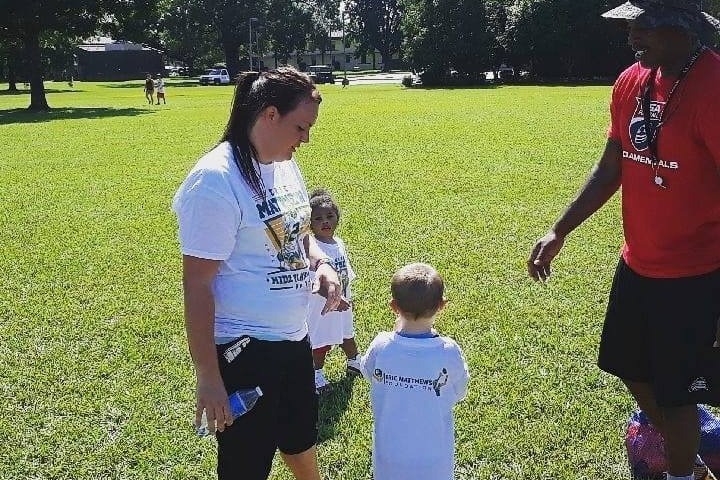 Now retired from the NFL, Matthews encourages teenagers to strive for unimaginable success. He would go on to play with Philadelphia Eagles and the Washington Redskins. Dunson, a native a Carrollton, Ga., was a three-sport athlete at Central of Carroll County High School, where he played basketball, football and baseball. Drafted by the Atlanta Braves out of high school, he chose to play college football on a full scholarship at Middle Tennessee State University. As a college senior, Dunson was ranked by the NFL and Mel Kiper Jr. in the top 10 for running backs in 1992-93 NFL draft (#8), as well as a top 100 collegiate athlete. That year, he was drafted by the San Diego Chargers in the 5th round in 1993 as a wide receiver, kick-returner and running back and later signed with the Phoenix Cardinals as a free agent at the same positions including defensive back for the legendary coach Buddy Ryan. Walter would later serve as the Director of NFL Youth Programs for the Atlanta Falcons. Robert Hicks, Jr, is a former American football offensive lineman in the National Football League for the Buffalo Bills from 1998 until 2000. He played college football at Mississippi State University and was drafted by Buffalo in the third round of the 1998 NFL draft. Recently, members of Mississippi's 155th National Guard Brigade were deployed to ensure our nation's safety and protection against foreign enemies. Immediately this sent me down memory lane, because since Desert Storm was first enacted (yea Im old), I have never had so many troops close to me mobilized for action. In families case, a grueling 9 months was spent worrying about my mother(Army) who was away in Kuwait, experiencing the highs and lows of warfare, while her kids, thousands of miles away, sat in fear, not knowing if she would make it home....scary times...scary moments! At 9 years old, I spent many nights scanning the news to see my moms face would be broadcasted one of the soldiers who made the ultimate sacrifice. request), March 7th will kick off our 6 week #SMARTMONEY: TEEN BUSINESS COURSES. The premise of this program is to allow the youth to develop a business idea (of their choosing), and to incubate it through the start up phases. From here, we move into the summer months, where our target goal is in bringing our free NFL YOUTH &MOMS camp back into the fold. Idealistically, we will host a split camp with Columbus Air Force Base, and Tupelo Park and Rec on July 21, 2018. Thanks for all of your past support/lets do it again. Keep knocking those goals down man!